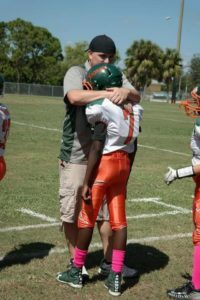 Welcome to Cape Youth Football.The “STORMS” is a youth football, cheer, and dance program for children ages 5 – 15, operating under a charter with Pop Warner Little Scholars, Inc. The Youth Cheer Leading program includes many opportunities for development, and also provides a chance to compete in events locally and around the country. Being involved with this program as a parent is one great way to share your child’s youth. It is our goal to build our children’s dreams by promoting the ideals of good character, sportsmanship & team spirit. We will see you all soon for the first day of practice. Please pay for registration online by following the links. Important information can be found in the menu. Welcome to Cape Youth Football Association.